I have a pending appointment at a "vette specialty" shop in NJ. They are telling me I should get an oil change and that they need to add a zinc additive for my cam? BS or true? I've seen a lot on oil here and nothing on zinc. It jacks up the price of the oil change by almost double. My local mechanic says its nonsense. If your engine has a OEM valvetrain you need only a CK-4 rated oil. If the cam & springs are aftermarket I would consult the cam manufacturer. for what they recommend..
I’m no expert, but I was told by the previous owner, who was told by the engine restorer, to use oil with zinc already in it. So that’s what I do. I've heard both ways, buy I doubt adding zinc can hurt, so why not add it and have your bases covered. You can buy 4oz from most of the vendor for $9.00, which makes it cheap insurance. I've been using it for years. @ $9.00 per bottle it's cheap insurance. 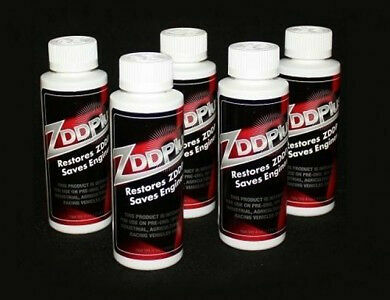 I change the oil in the old cars once/year..
Too much ZDDP is a bad thing. You want it at about 1200-1500 ppm. I use diesel spec oil in my old flat tappet cars and have for years. No issues, thousands of miles. I have a pending appointment at a "vette specialty" shop in NJ. They are telling me I should get an oil change and that they need to add a zinc additive for my cam? Sounds like a place to spend a lot of money. The reason to NOT add ZDDP to oil which already has enough is that there is such a thing as too much ZDDP. This is not a case of if a little is good, more must be better. It's not. Buy Diesel oil, add nothing to it, and put the whole matter out of your mind. Last edited by jim lockwood; 04-09-2019 at 03:48 PM. So, diesel oil, like Rotella, already has the zinc added or it's not needed? And, just run the same weight diesel oil as you would with other oil, 10-40 or 10-30? Sorry, learning something here. The Rotella and similar diesel spec oils already have the higher ZDDP. I run 10/30 or 15/40 in my old cars. It's excellent stuff....there are a lot of 500,000 mile big rigs running on it. And it works just fine with gasoline engines as well, despite what naysayers come up with. For what it is worth, I have always run Brad Penn oil in the 455 Buick's we did over the years with zero issues. I bought a case to use in the '66 327/300 and will be putting it in next week (not the whole case, for those who are terminally literal...) as the car gets on the road. One of the first things I try to do, along with all other fluid changes that are needed. CHEAP insurance in my opinion. Last edited by richopp; 04-09-2019 at 05:33 PM. Google it. Crack open a cold on and READ. I can tell you from experience having lost 3 engines to flat cams. IF you have a flat tappet cam YES you need it. I used Rotella on one of mine and lost it to. After research I found they had reduced the PPM of zinc. NOW having said all that it is not just zinc but a balanced add pack. Phosphate figures in also as well as more. Call comp cams tech line and talk to them. Added spring pressure for higher lift cams affects it also so what may be ok for one engine is not ok for all. I now use Lucas Hot Rod oil and add some zinc with Lucas additive. Some say more is not better again it is a blend. NO one size fits all. GOOD LUCK. Just my humble opinion having been there 3 times now AND YES proper cam break in with new cam IS critical. Last edited by Vette5311; 04-09-2019 at 05:33 PM. Cheap insurance? Insurance against what? What is your limit on your "insurance" premiums? Or is this another "piece of mind" deal? Old cars have a history that may not be visible to the buyer. In my case, the seller told me he used whale oil in the rear end recently as per suggested and he had some. I changed the rest of the fluids--power steering, brakes, transmission, and oil (next week) to be sure that they permitted these various systems to function correctly. Should something fail, I would be fairly sure it did not run out of its fluids or suffer from fluids that have been sitting around for 50 years or so. If you think that is far-fetched, come with me to buy cars one day and see what is out there; you may be surprised at what people think is important--a nice shiny paint job but little or no engine or running-gear maintenance is not uncommon in my experience. I see cars all the time with 50+ year-old spark plug wires on them (! ), as well as cars that have been sitting in a collection that does not have a full-time service person to drive and maintain them. To me, a few dollars of fresh fluids is an inexpensive way to maintain these systems before something fails due to a fluid issue. If you want to call that "peace of mind" then have at it. You are certainly 100% correct in my case, but not the main reason for the system fluid maintenance I perform.